Bob Rosehart is the Past President and Vice-Chancellor of Wilfrid Laurier University (WLU). He assumed this position on September 1, 1997 and completed a 10-year term in August 2007. The previous 13 years he served as President and Vice-Chancellor of Lakehead University in Thunder Bay. Born in Owen Sound, Ontario, Bob holds BSc., MSc., and PhD degrees in chemical engineering from the University of Waterloo. 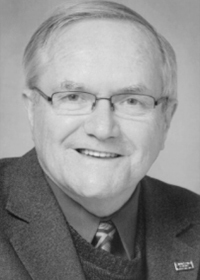 He was a professor of chemical engineering at Lakehead University during the 1970s, prior to beginning his administrative career as Dean of Lakehead’s University Schools in 1977. He holds honorary degrees from University of Waterloo, Nipissing University, and WLU. His interests are in economic development, science and technology policy, and government policy, and he has served as an environmental and public policy consultant to both the federal and provincial governments. Bob has an extensive background relating to the energy and environmental engineering fields. He is past Chair of the Ontario Universities’ Application Centre Advisory Board and has served as a member of the AUCC Standing Advisory Committee on Educational Issues and Funding and of the Executive Committee of Canada’s Technology Triangle Inc., the Waterloo Region’s economic development partnership. He currently chairs the Selection Committee for the Amethyst Awards, Government of Ontario, which recognizes Ontario’s outstanding public servants. Bob was appointed to serve as the Northwestern Ontario Economic Facilitator in 2007 and as Interim Principal of Renison University College at the University of Waterloo in 2008 to 2009.